Looking to finance your next upgrade? 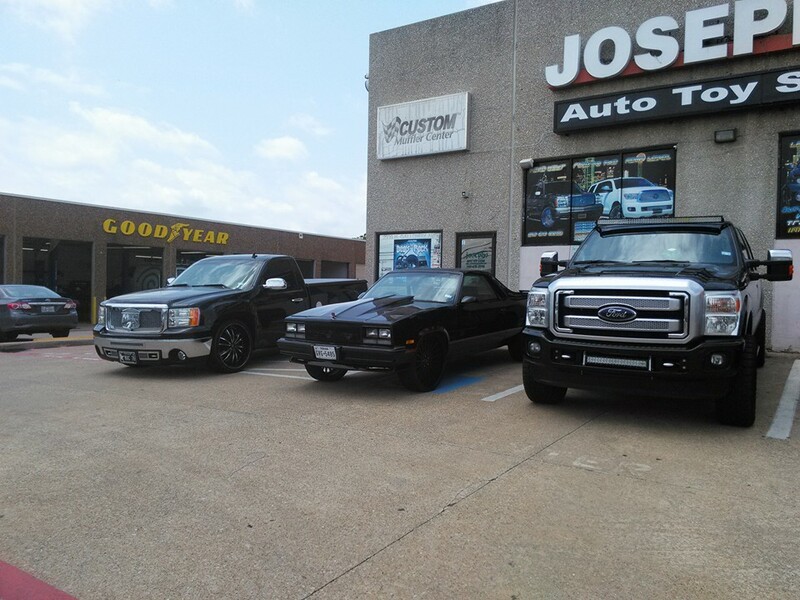 Joseph’s Auto Toy Store offers state-of-the-art electronics, custom design and installation services for sound, multimedia, security, navigation systems, wheels, tires, suspension and performance. We have been specializing in custom car audio, electronics and aftermarket accessories for over 30 years. Striving for outstanding service with installation by technicians with decades of industry experience, we will happily help you with any type of custom install you require—from upgrade installations that look so good you will think they were factory installed to head-turning custom work— and our turn-around times ensure you’re not without your vehicle any longer than necessary. We are open from 9am-6pm Monday thru Friday, 9am-5pm Saturday. We are conveniently located at 2939 N. Galloway, Mesquite Texas 75150. Call us today at (972) 613-0096 or Email Us for a free estimate.